The financial world has never had a revolutionary happening for decades. Blockchain technology has now delivered one of the most innovative financial creations. BITCOIN a cryptocurrency has drawn tremendous attention. Over a thousand crypto coins or crypto tokens exist today, interestingly a significant portion of these have not been able to deliver their promise. At the same time, interest in the crypto world is surging and crypto space is no longer a narrow space inhabited by blockchain gurus. For the sake of this report, we can presume that the terms crypto currency, crypto token and crypto coin mean the same thing. An ICO or Initial Currency Offering is the most popular time for buying a cryptocurrency. The offering generally opens for a fixed period of time and happens at the start of a project. Tokens sold during the ICO are generally priced attractively, the funds collected during this process are ideally used for development and implementation of the project plan. So why do people buy crypto tokens or coins – the obvious answer is ‘for profit’ and this, happens through price appreciation for the crypto currency. Before hoping to make money on a cryptocurrency, it is important to understand the buying process and next, the trading process. Trade in crypto tokens happen through crypto exchanges, the forces of demand and supply influence price. So when exactly does a cryptocurrency get listed on a cryptocurrency exchange. We mentioned that an ICO provides an opportunity to buy a cryptocurrency. Since this activity happens at the start of a project, the cryptocurrency would not be listed on an exchange until the close of the ICO. It is common for cryptos to be listed on the crypto exchanges, within 4 to 6 weeks of ICO completion. Cryptocurrencies that are listed on an exchange, can be bought and sold – prices move up when demand exceeds supply. A great project idea, a team studded with well known personalities and a huge media blitz, are not always enough to push up the price of a crypto currency. What is required is a sustained demand for the token and very often, this is not something that is easy to achieve. Seasoned crypto enthusiasts are now focused on blockchain projects that, are aimed at improving efficiency and market reach for a specific industry. These projects are often configured to include a blockchain based trading platform and a crypto currency. The trading platform is aimed at allowing buyers and sellers to function without, the need for intermediaries. 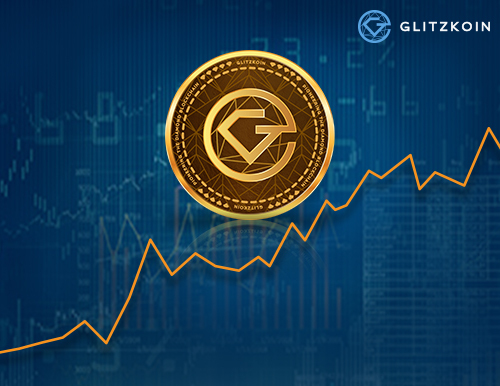 The crypto currency is used to settle financial transactions that occur on the blockchain based trading platform. So what exactly is it in industry specific projects that, offer potential for crypto token price appreciation. The answer is simple, demand – there is a dual source of demand for the crypto currency. Crypto enthusiasts would work on the elements of demand and supply on the crypto exchanges. At the same time, the trading on the platform would generate its own share of demand for the crypto token. Before buying into a cryptocurrency, it helps to understand that the days of becoming a millionaire overnight are gone. Keep realistic expectations and do a detailed assessment. Try to spread your budget on a few cryptocurrencies, there is no need to distill all your money into one single token.